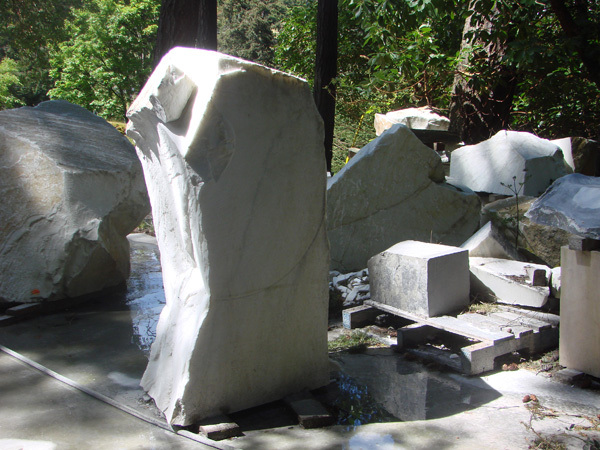 In a spacious garden near Victoria, sits a collection of broken-looking columns of marble and scattered chunks of stone. If I focus on this littering of raw rock, I can believe myself in Italy, in a sculptor’s yard – maybe Brancusi’s , Michelangelo’s or Jean Arp’s. 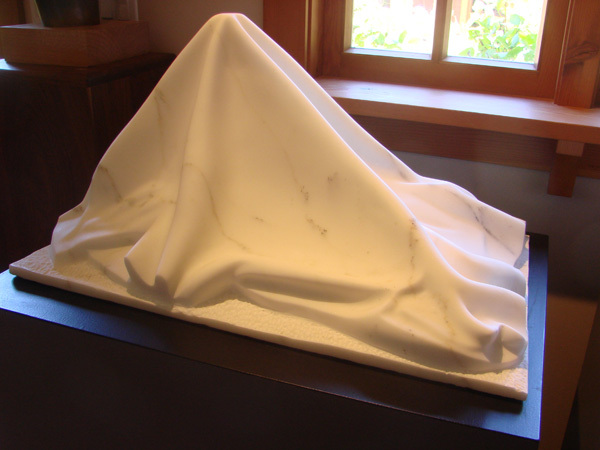 Some marble pieces have been shaped and molded to a nascent forms, waiting for the remainder of the object to transform. 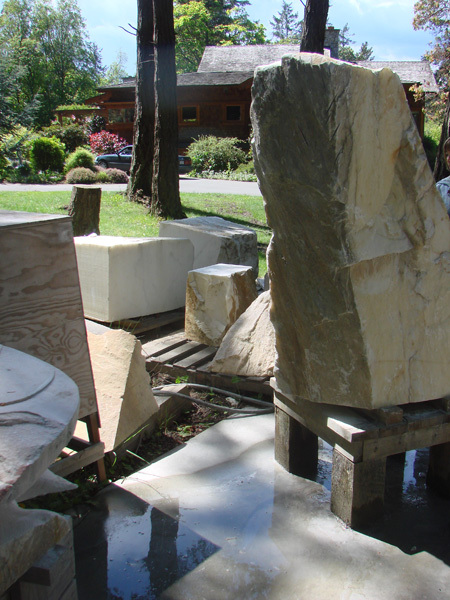 Other blocks of marble have not been touched, simple monoliths for future projects. 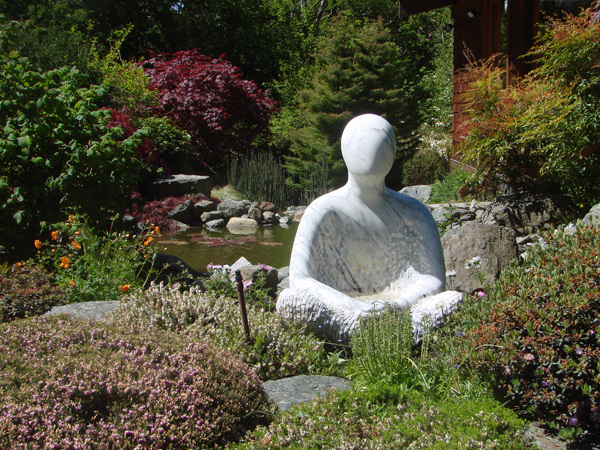 The finished pieces are sitting in the studio building across the way; or like the meditating figure in the garden, holding court over a calming garden pond. Surrounding this yard of stone is a vast lawn and across from it, a lovely architect designed home set into a hill and banked, further back by a sheltering grove of trees. It’s been a busy time for me. I was away for a week in Victoria, B.C. on a long overdue visit to friends. One of my friends there is a patron of the Arts. She seeks out upcoming artists and likes to give them a boost. Her house is a treat, filled with the treasures that she has found along the way. While she was teaching, she met Kent Laforme’s aunt, and when the aunt passed away, she became close friends with her sister. In this way, she met Kent and became familiar with his work. 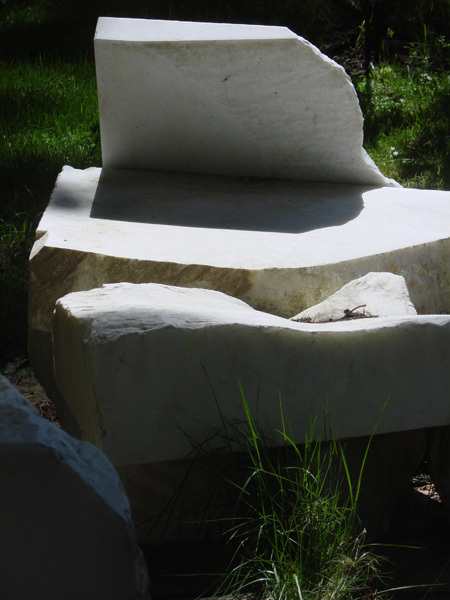 There are a few of his marble pieces to be discovered in my friend Ruth’s large and beautiful country garden including a swan and an elephant, both shaped with an abstracted vision akin to Brancusi whose minimalist work Kent admires and has studied in depth. We were invited to come see his work. Unfortunately, our timing did not coincide and I did not meet the artist himself. 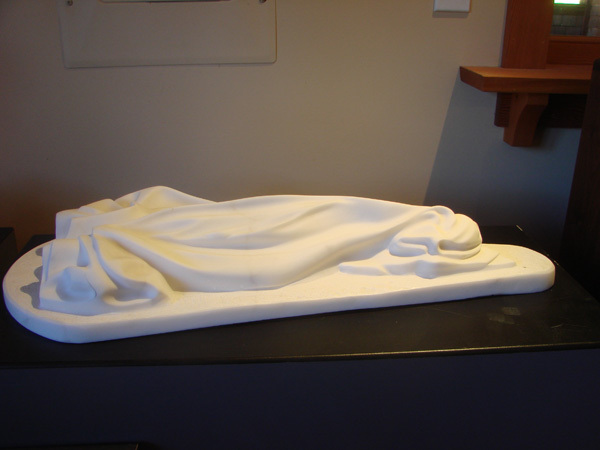 Nevertheless, his mother was happy to show her son’s achievements and we were able to have a good look in the sculpture workshop, the show room and throughout the house. 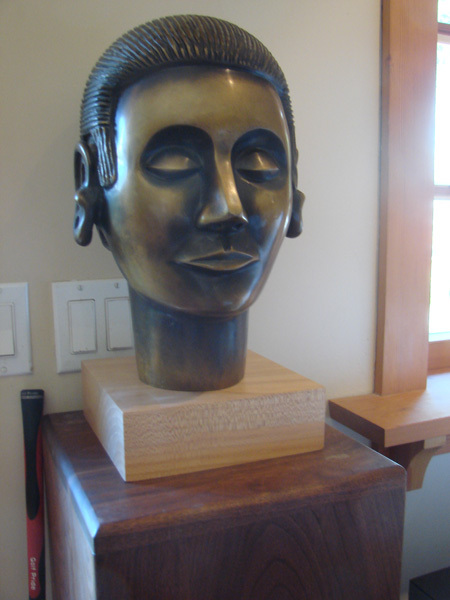 The house is built on a post and beam style with wide open galleries and great places to show large works of art. Everyone in the family seems to be involved in creating works of art, including Diana who, under tutelage, has done some stunning abstract works. 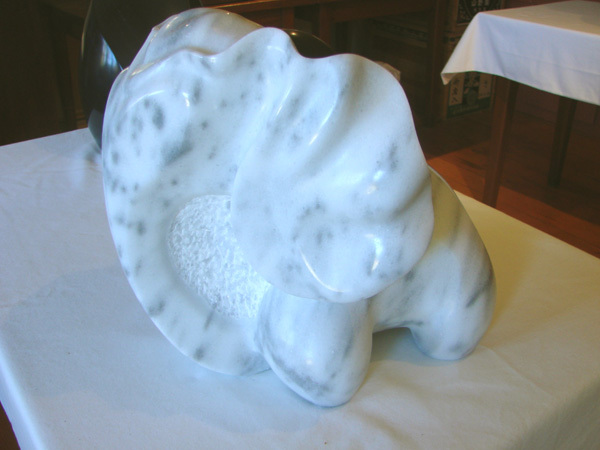 After commencing his Bachelor of Fine Arts from the Nova Scotia College of Art and DesignKent in 1991, Laforme won a year’s scholarship in sculpture to Pietrasanta, Italy in 1993 where he promptly went, leaving everything behind, not knowing a word of Italian, and with no place planned for him to stay. He managed to find his way, stay for three years and come away from his experience a much-changed, mature sculptor. 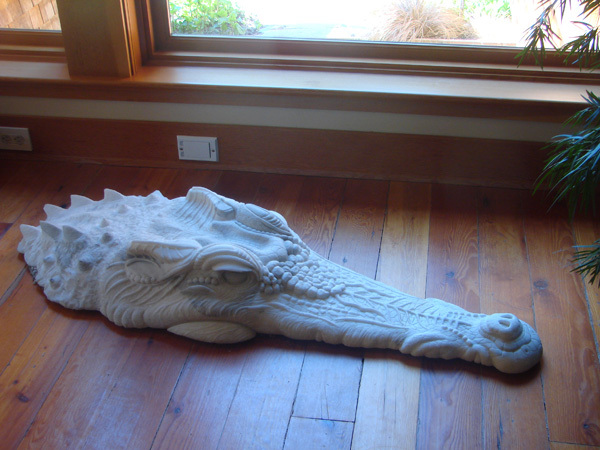 One of his important projects there was to carve a crocodile. 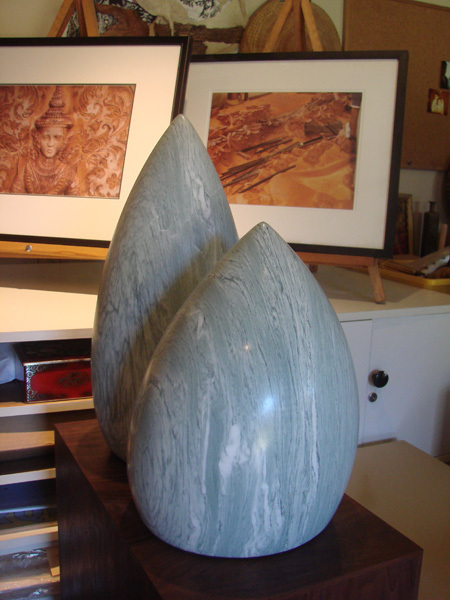 In creating this piece, he was tasked to use every different cut that is practiced by sculptors. It’s like an apprenticeship piece where the whole gamut of technique needs to be displayed. He has a penchant for simplicity of form. 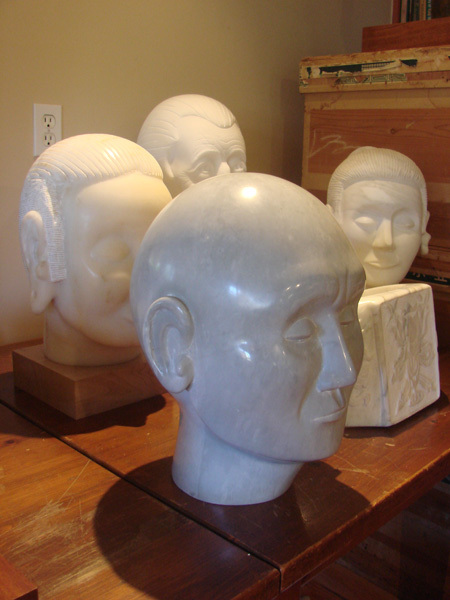 He has created several portraits including an oriental head reminiscent of the Buddha, and his mastery there is evident. But realism and detail are not the backbone of Laforme’s current practice. He has recently created a series where he expresses more modern constructs, using, for example, a tee-shirt cast over a bottle to develop an model for reference. The series of work that he created in this genre were the subject of an exhibition in a major Vancouver commercial fine-art gallery recently. 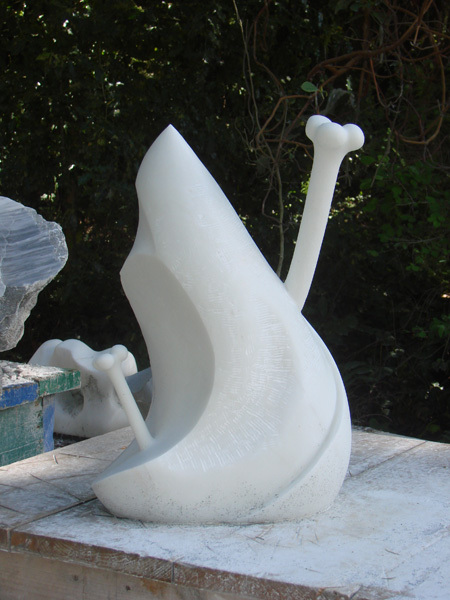 Here, then, is a gifted sculptor, capable of a wide range of styles and capabilities in marble and other stones. He has made his mark early in his career. It will be interesting to see him develop and find his personal stamp in the long run. 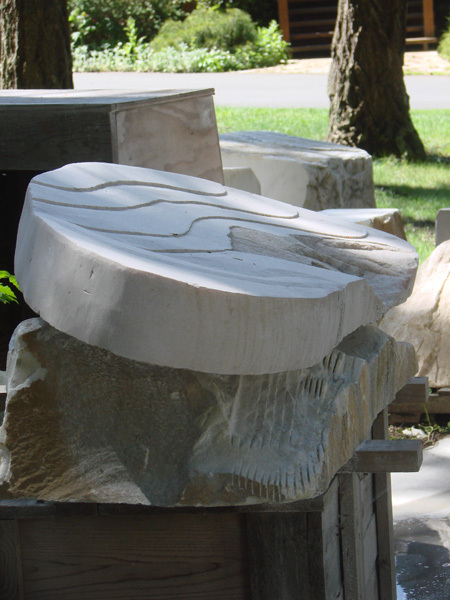 As this is not a medium in which I feel qualified to comment, I will let you enjoy my photos from the afternoon – not only his finished sculptures but the lovely play of light and shadow on the chunks of stone waiting their turn for Kent Laforme’s chisel and hammer. 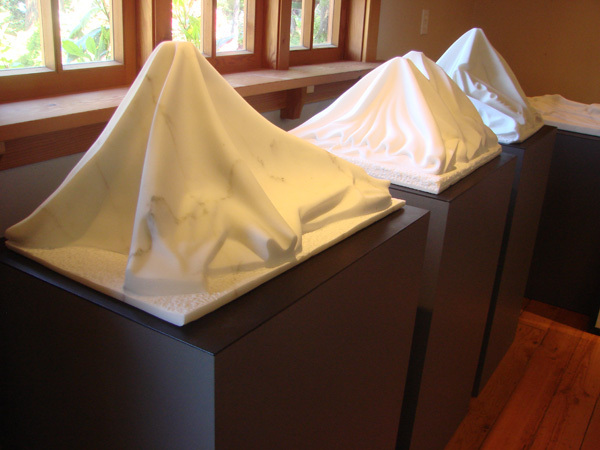 This entry was posted on May 22, 2010 at 7:48 am and is filed under abstract art, art, sculpture, Uncategorized. You can follow any responses to this entry through the RSS 2.0 feed. You can leave a response, or trackback from your own site. for a show of my paintings for Nov. 2012.
display and sell your work? Thanks for commenting. I’m glad you like Kent’s work. I’ll get in touch with you separately to give you contact information ASAP. I own a Montreal Gallery, Avenue Art and came across your work on the net and find it quite interesting. I am doing a project in Vancouver and would like to connect with you to discuss this among your work in Montreal. 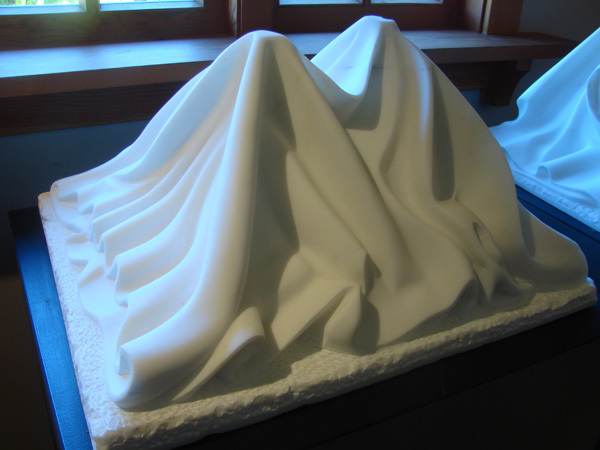 I haven’t thought about him for all this time and suddenly, tonight, as I surfed the web and saw another sculptor’s work…Kent’s name and work and my memory of him was conjured up once again. Found his UTube video at Elliot Louis Gallery and this site, but could not find his website, if he has one. Could you kindly pass this email along to him. I would like to touch bases with him, as I am now living in Vancouver; moved back from Asia 2 years ago. I’d be delighted to be post office for you. I’ve already e-mailed it to him. I hope he gets back to you. I can see that you are a fan of his lovely work. It’s inspiring, isn’t it?